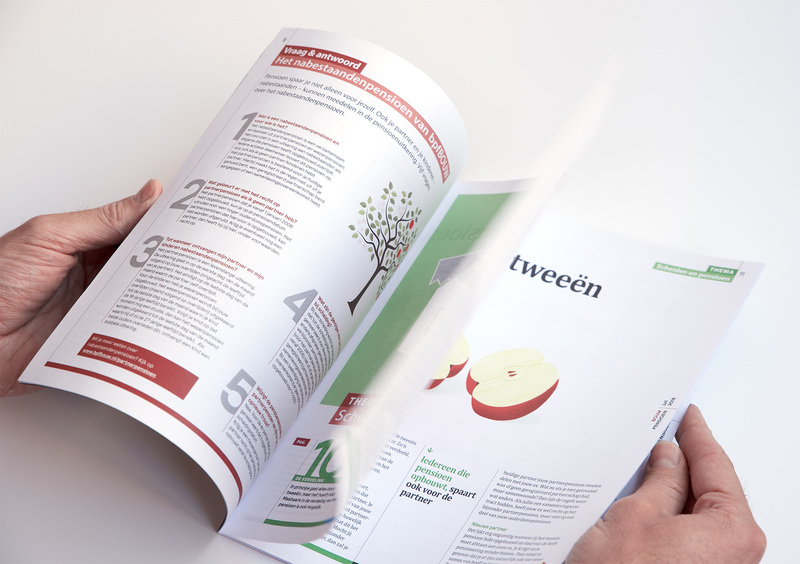 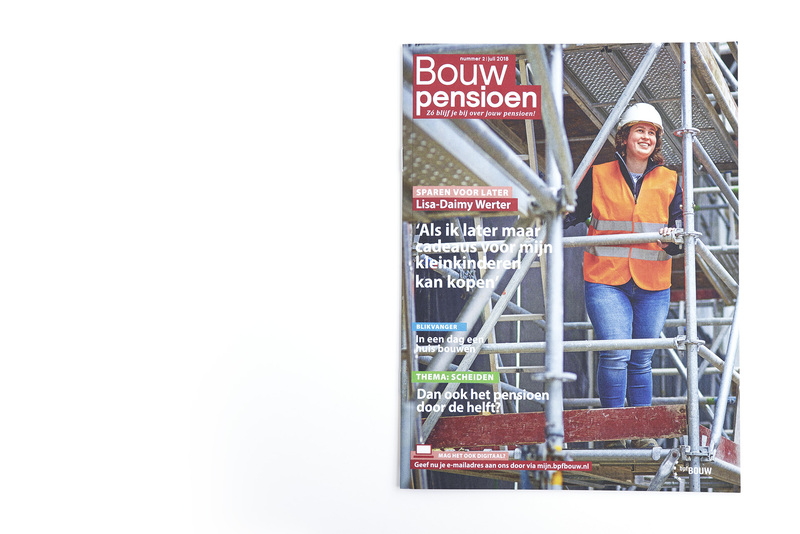 Another sweet project realised with our friends from Media Partners, we designed this quarterly edition of a magazine for BpfBouw, which covers pensions in the construction sector. 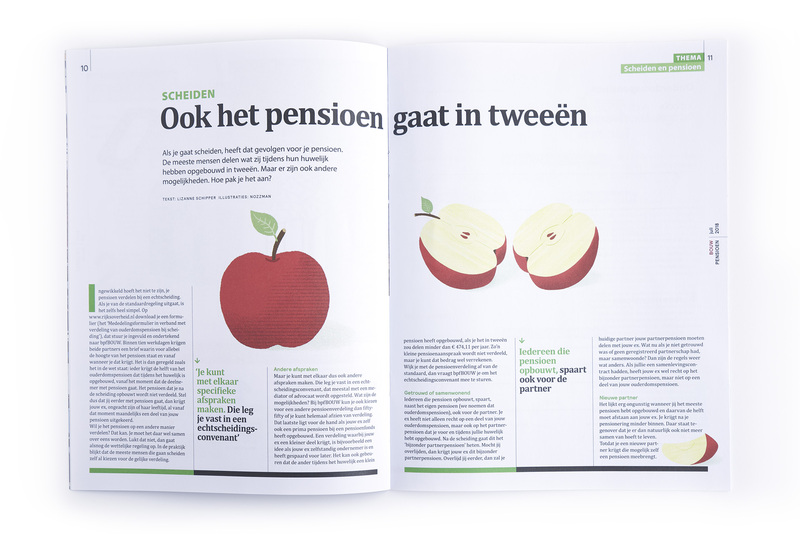 The challenge was to create an attractive and playful proposition while retaining a strong corporate feel and the serious nature of the topic as background. 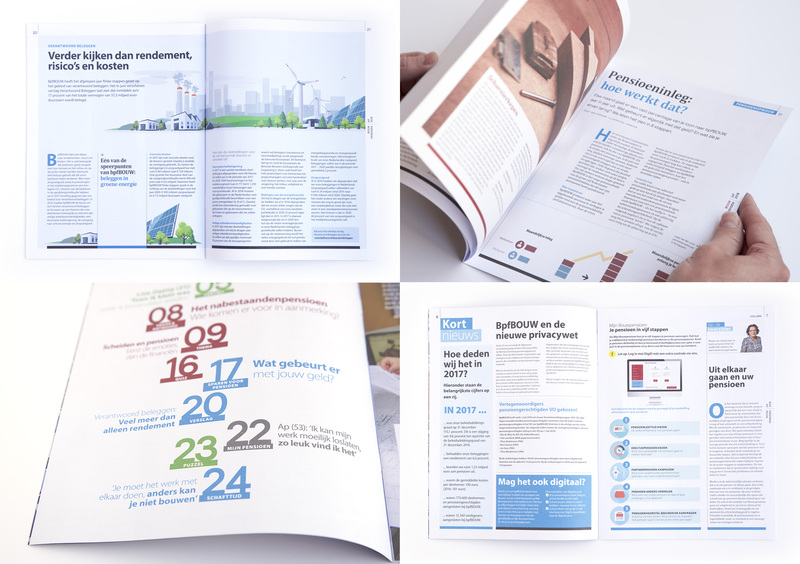 To achieve this we used fresh colours and combined strong, traditional images with some clear infographics and simple illustrations.